Swiggy Mobikwik Offer – Hello Coolz Readers! Here i am back with Swiggy Mobikwik Happy Hours Offer where you will able to Use 100% Mobikwik Supercash On Swiggy. We have Already Published Many Methods to Use/Transfer Full Mobikwik Supercash , Here is One Other. 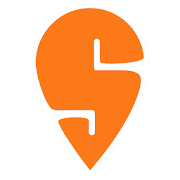 Using Swiggy, you can order food & beverages online from restaurants near & around you. We deliver food from your neighborhood local joints, your favorite cafes, luxurious & elite restaurants in your area.